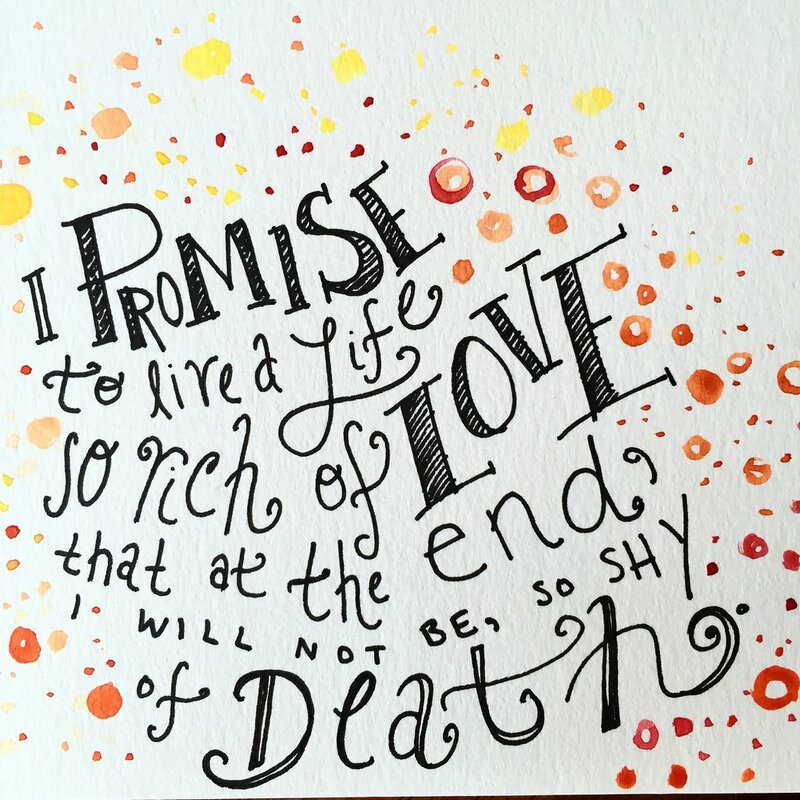 Aren't these words the greatest promise you could ever make to those that have come and gone before us? To not let the richness and exuberance of your life slip away in vain? I think it is a notable, worthy commitment.